I’ve never been into Korean import MMOs. I’ve tried a few in the past, but for some reason the art style really bothers me, and they often tend to be poorly translated and tone deaf toward Western preferences when it comes to things like business models and gender locking. Also, armorkinis everywhere. But I try not to judge things categorically, so, when I heard a lot of buzz surrounding Riders of Icarus, I figured I’d at least give it a shot. Running around taming dragons to use as flying mounts of death? Sounds fun to me. As much as I feel like dragons are overdone, Icarus has done them in an interesting way, which is really all I can ask for. If nothing else, the game has really nice, high-end graphics, which is something Eastern MMOs often do better than Western MMOs. I thought this was going to be an action combat game, but I was pleasantly surprised to see that I could choose between action combat or something a little more like traditional, WoW-like tab-target controls (there are still some oddities like click-to-move, but it’s better than being locked into shooter controls). 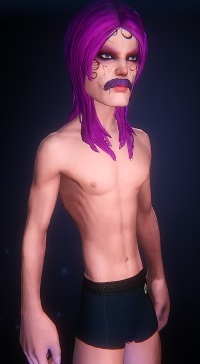 My biggest complaint–other than the character creator allowing for perhaps too much freedom with its sliders, as you can see here (and, for the record, no, I did not actually play as a creepy bobble headed hippie dude)–is that mages have to say their spells every time they cast. Yes, I get that it’s a high fantasy staple that you have to say magic words as you swish and flick your wand to cast a spell, but listening to my character repeating “Surrat! Duberus!” over and over gets old very fast. 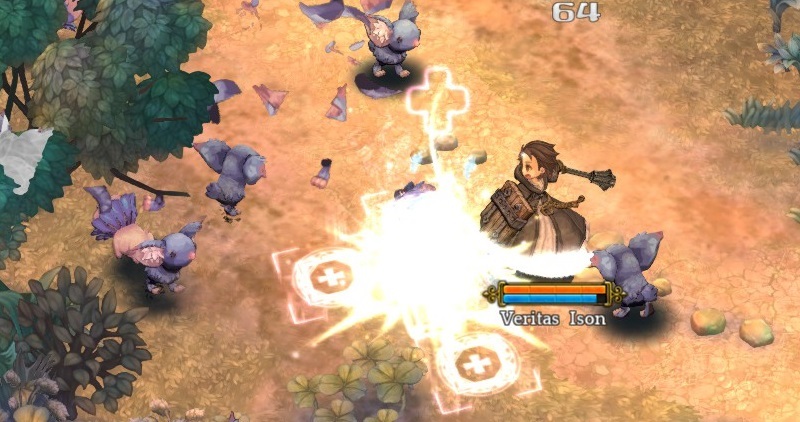 The other Korean import I’ve been trying out recently is Tree of Savior. I really like the idea of OARPGs, but, other than Marvel Heroes, I haven’t found much that I liked. I’ve had my eye on this one since it was announced that it would be coming to the West, and I jumped in as soon as it went free-to-play, but I’ve tried to stay away while they resolved some of their early problems (do they not have gold spammers in Korea? How was this not fixed in the original region?) to avoid an atypical bad first impression. I really like that ToS has a lot of class freedom. This is something that a lot of bigger, mainstream MMOs are missing. What ever happened to build-your-own-classes? Or at least multiclassing? Sure, everything’s not going to be perfectly balanced, but I’ve never been in an MMO where someone wasn’t whining about how their class got nerfed into the ground and some other class was massively OP. I’d rather have a class system that allows me to customize my play style than the most pristinely balanced cookie-cutter classes ever made. If I made a bad character, that’s on me and I’m perfectly ok with rerolling at that point. While I’m usually not into super anime stylization in MMOs, I feel like it works really well in this gorgeous, hand-drawn-feeling world. A lot of the default options for Tree of Savior make me wonder what planet the developers learned to play video games on. Do yourself a favor and switch to the mouse (Diablo-style) controls right away (press escape and click the gear in the corner), and turn off the scrolling /shout text at the top of the screen (press enter and click the gear on the chat box). Also, the translation is kind of painful. That would be worse if the story was good, but it hasn’t drawn me in so far. Apparently I’m going around telling a bunch of people that I had a dream about some goddesses who supposedly disappeared (or didn’t, depending on who you ask? What, are they mad at us and not speaking to us anymore?) and there’s something about a giant tree that appeared somewhere and destroyed a bunch of cities and villages (curse you, Mordremoth!). Apparently it’s based on Lithuanian folk lore, so that’s interesting. Maybe it’ll get more interesting when I can actually see all of this stuff instead of just being told about it repeatedly by every random NPC I click on. For now, I’m mostly just skimming text and just mindlessly enjoying the gameplay. I hate to put all MMOs in boxes of Western and Eastern, but there really is an obvious difference in flavor when playing games from different sides of the Pacific. While I prefer mostly Western games, I feel like it’s a good idea to branch out from time to time, and I can see why some people would like their style. If, indeed, the MMO industry is dying out here and picking up overseas, who knows, maybe one of these games will be the next big thing.